The MA house is set up in the outskirts of Tepoztlan, a small picturesque village of prehispanic origins, that has a colonial urban center. 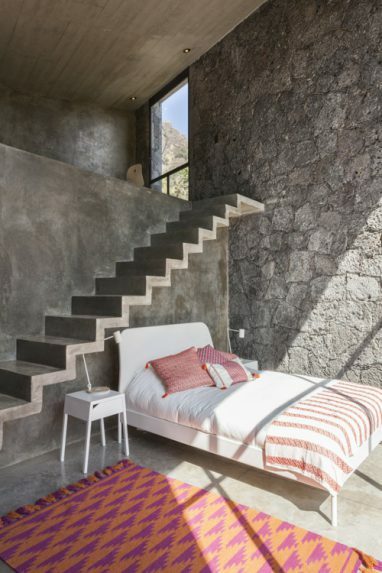 Located at 60 Km from Mexico City, Tepoztlan is well known for its sunny days, a comfortable temperature all year long, and its lush vegetation. 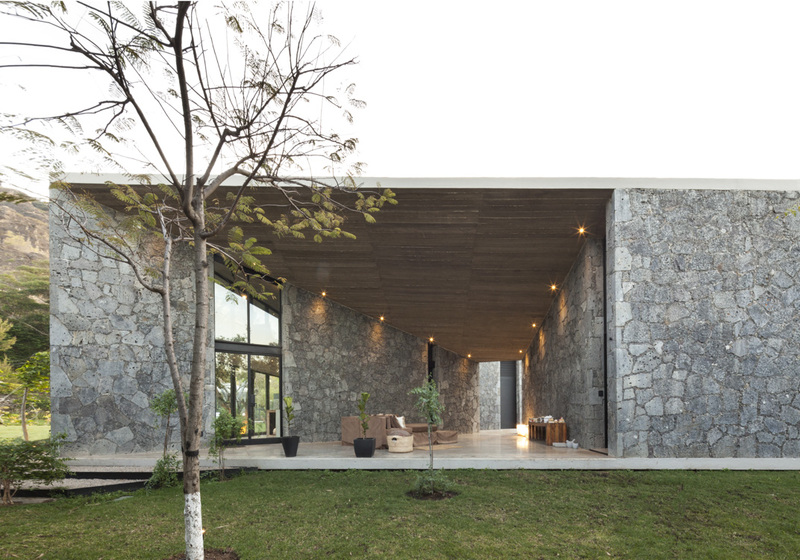 Water is a key actor over the rainy season, time when nature demonstrates its intense vitality. 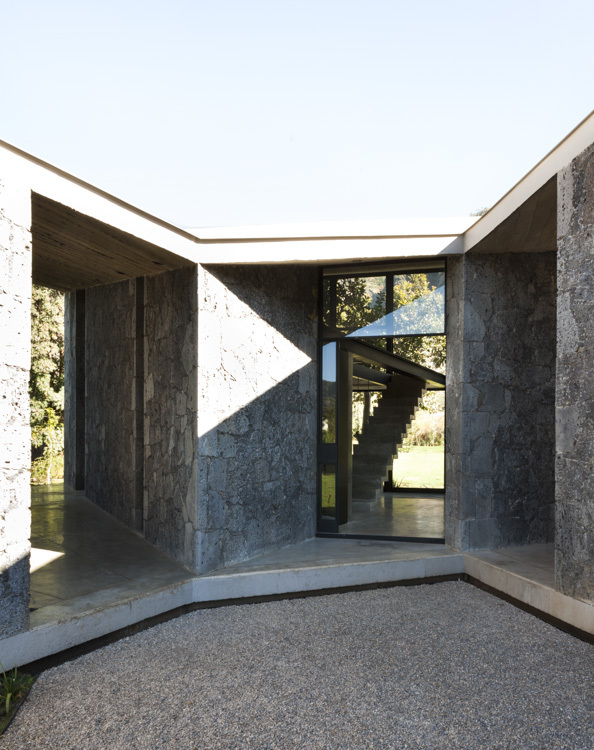 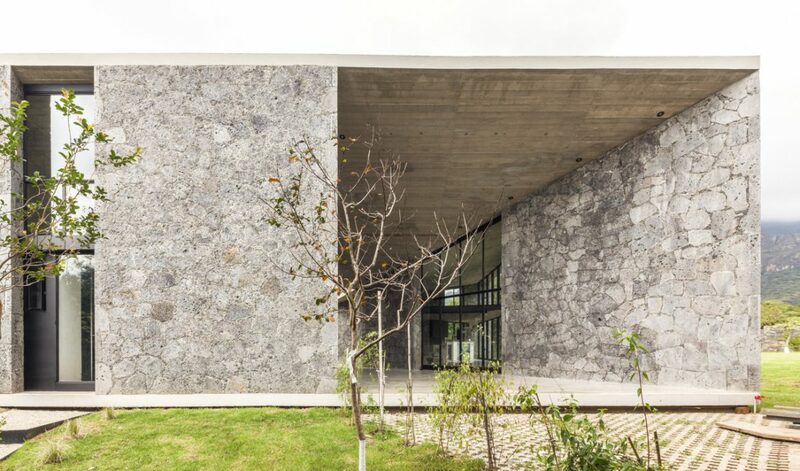 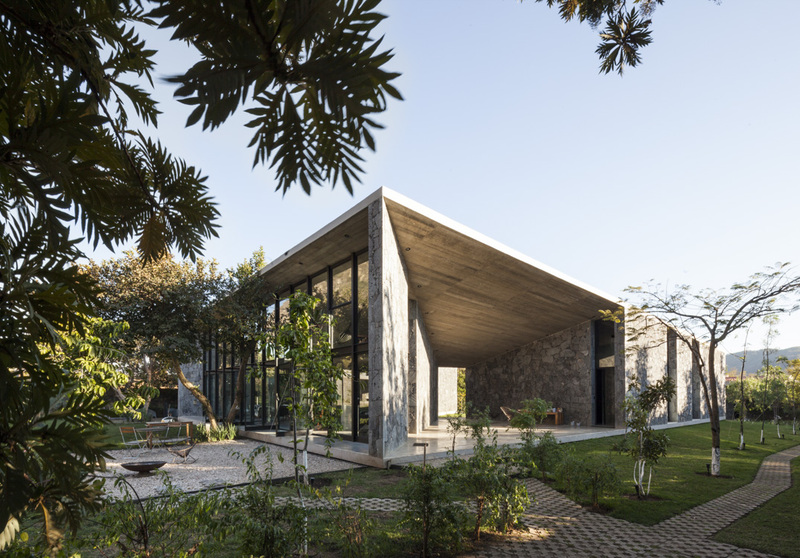 The project for the MA house responds to the search of a bright, wide and comfortable space built through a material that, at first, is hard and uncomfortable: the stone. 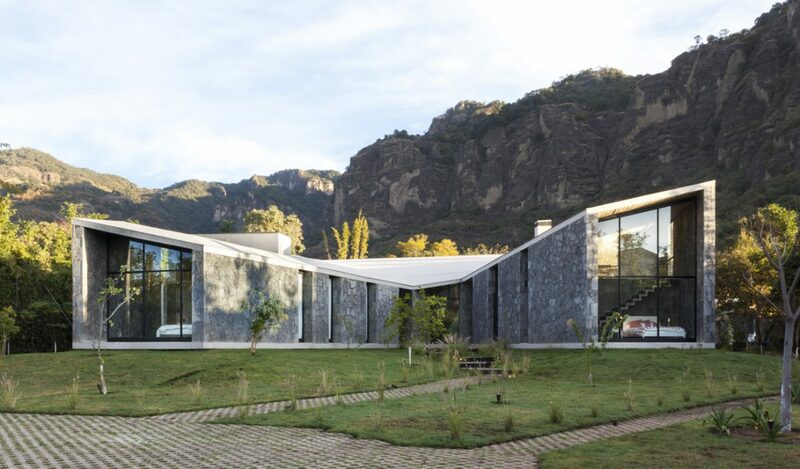 With the presence of two major mountains on both sides of the plot, and two neighbors in the opposite direction, the house is a basic volumetric exercise: open the views and the main spaces to the mountains, and neglect the openings to the sides; and the definition of a central and open patio, a crack that defines the access of the house. 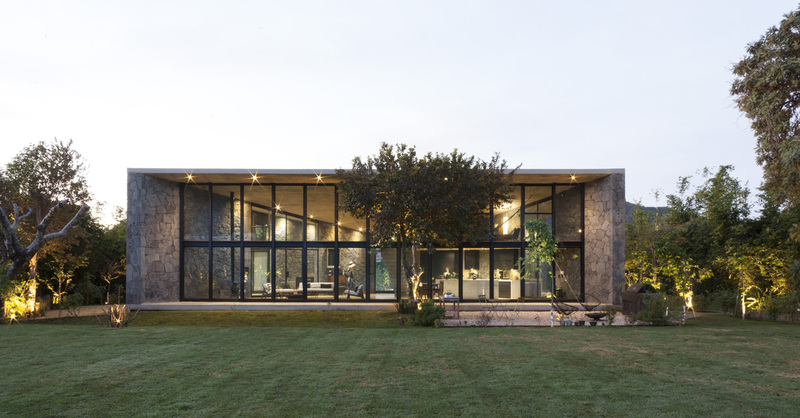 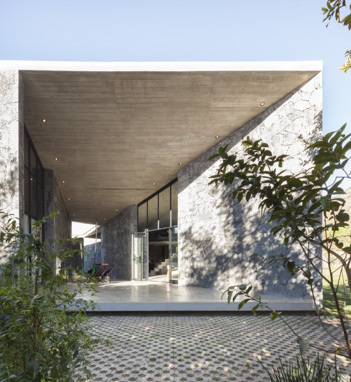 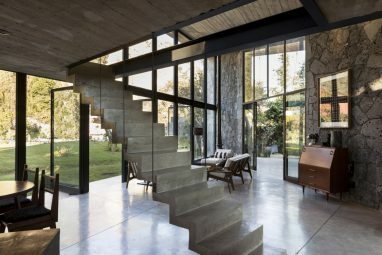 However, this house doesn’t behave as a standard patio-house: typically, those are built through a central space around which all the relations and circulations take place; the MA house, meanwhile, develops all the circulations at its outer perimeter. 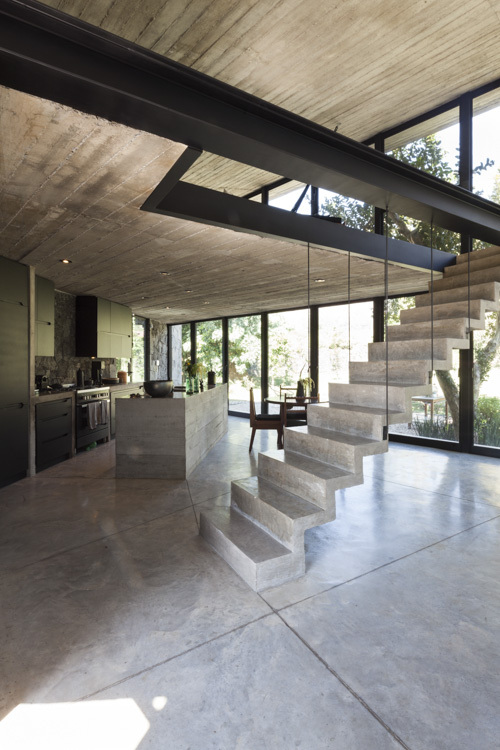 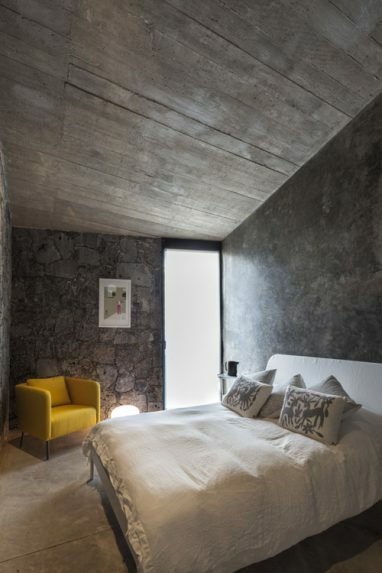 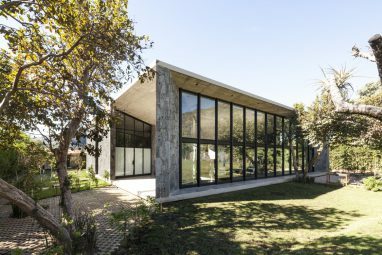 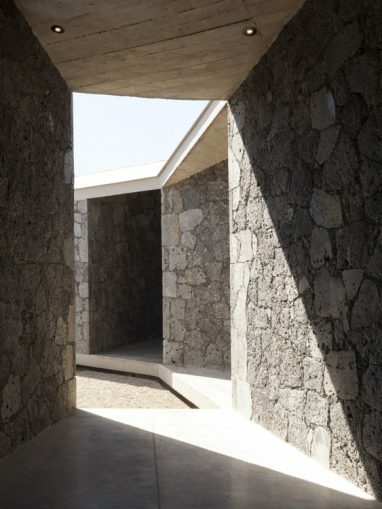 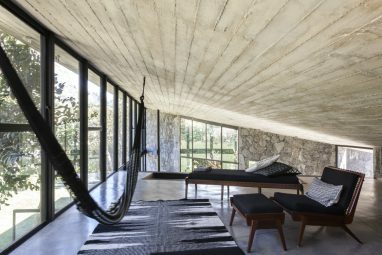 The house is a succession of spaces with differentiated uses that define the outer limit, a generic geometrical square. 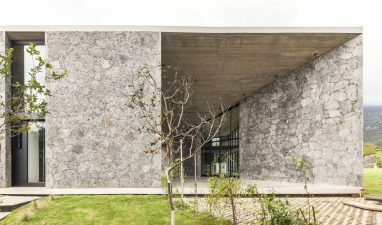 On top of such continuity of regular and perimeter circulations, the project overlays a second spatial strategy: the definition of a sequence of open and enclosed spaces; the exterior spaces -roofed patios-, intersect diagonally the volume and break with the rigidity of the perimeter performance. 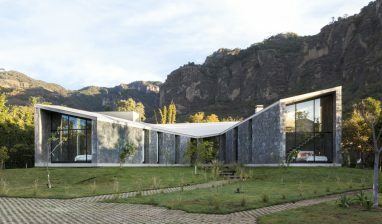 The house is finally drawn as the addition of three pavilions unified by a unique roof, generating two covered patios; the roof is continuous, and rests on top of the structural stone walls that are the main asset of the house, the texture, a rough and imposing material that builds up the space, and reinforces the views and the power of nature. 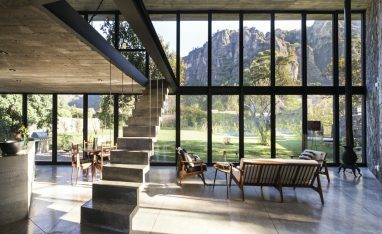 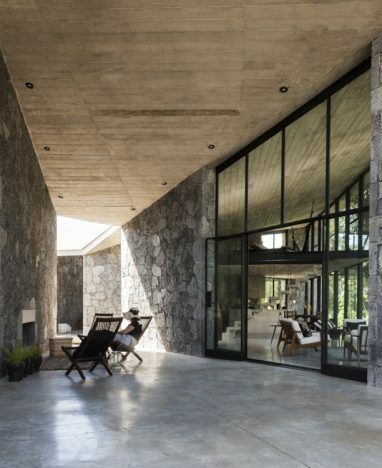 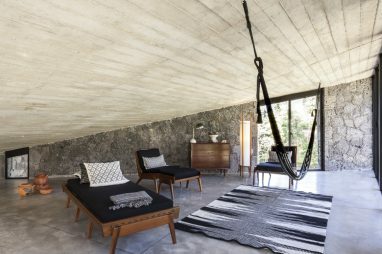 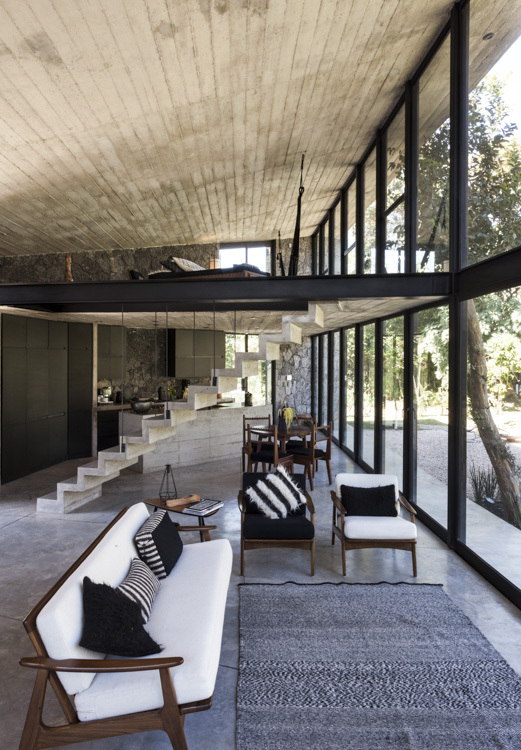 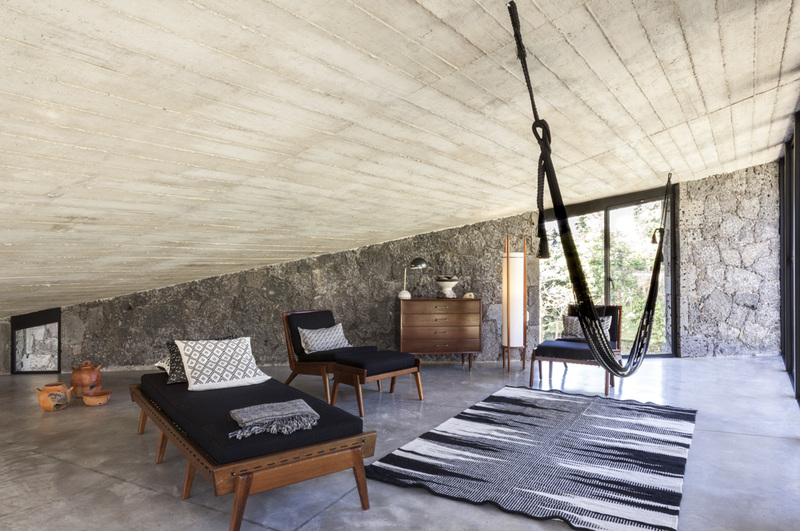 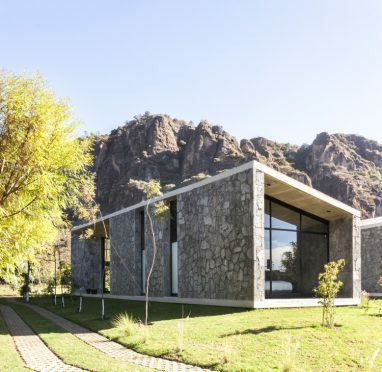 The house is a sequence of open and ever-changing relations with the nature; and always, as a backstage, the two immense mountains of Tepoztlan.